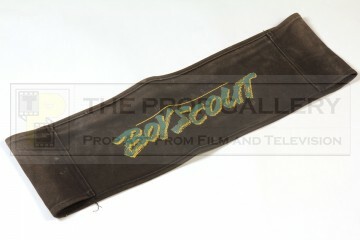 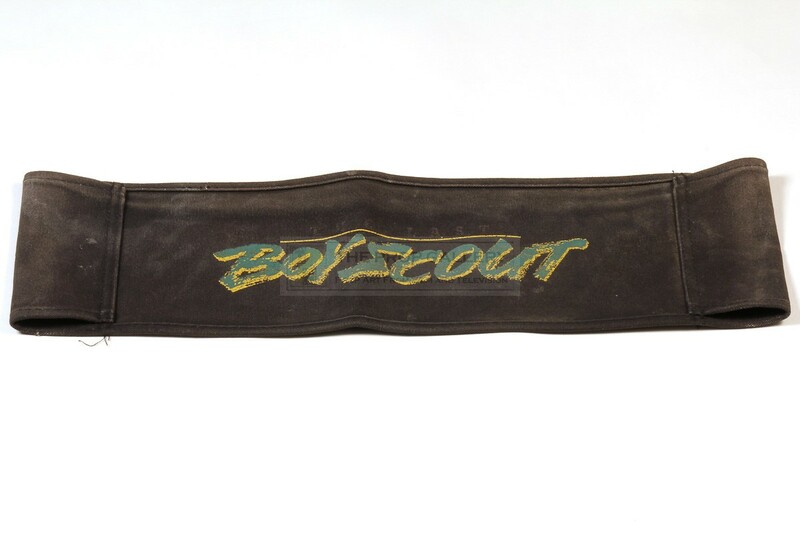 An original chair back used in the production of The Last Boy Scout, the 1991 picture starring Bruce Willis under the direction of Tony Scott. 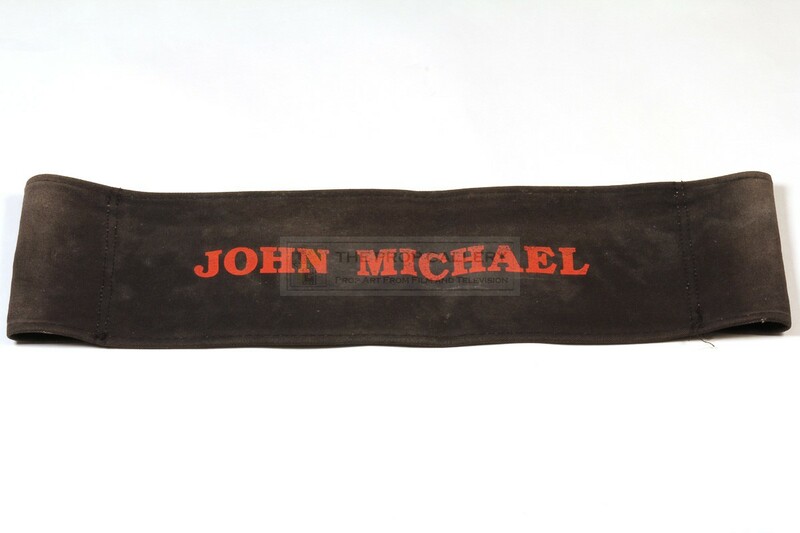 This production chair back is constructed of black material and features the movie logo to one side and the name 'JOHN MICHAEL' to the other in red lettering. The chair back measures approximately 22" x 7" and remains in good used condition with some wear, fading and minor soiling.